We demonstrate below how one can proto-type some statistical analysis in the form of an interactive dashboard. In doing so, multiple sources of public data can be simplified, visualized and made more insightful. Using two off-the-shelf products from Microsoft, Excel 2016 and Power BI, we scraped data from nearly 20 public web pages on two sites and produced an interactive display. Using Excel 2016 (and its Query Editor) we were able to extract data from tables on Web pages and create a data workflow to improve it for analysis. 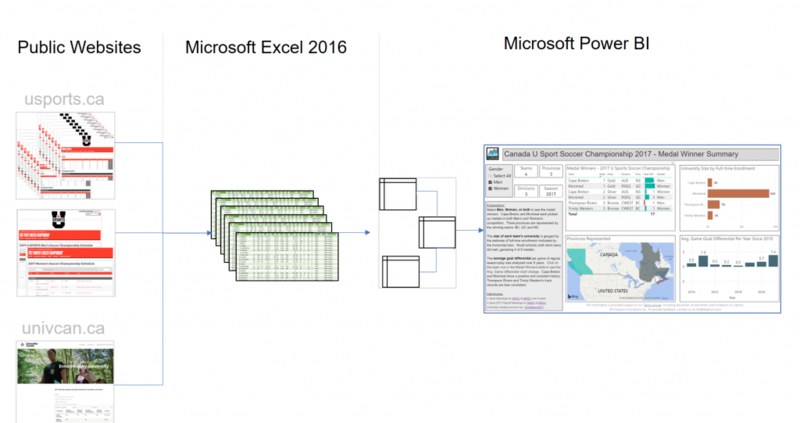 The aggregated data was then modeled into several tables within Power BI. The Report building feature of Power BI was then used to create visuals and enable interactivity. 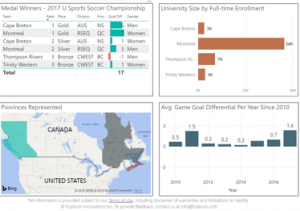 The resulting interactive dashboard for the 2017 Canadian U Sport Soccer Championship is embedded below. 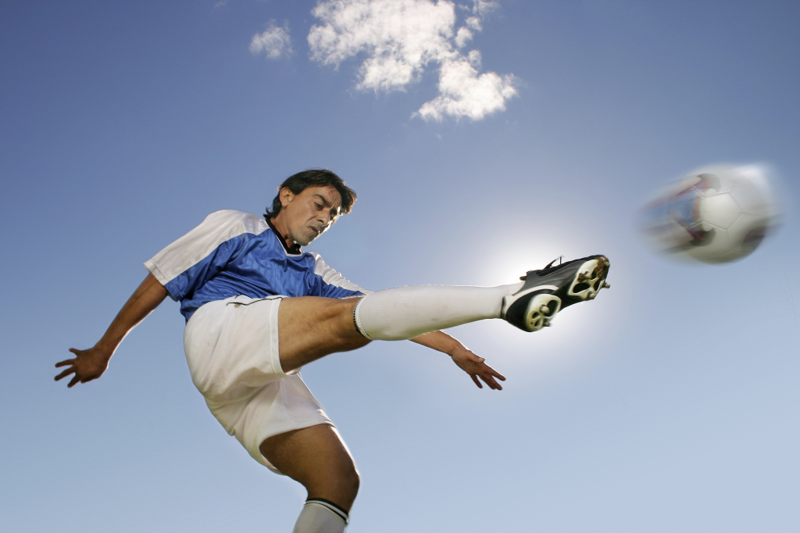 Canadian U Sport is the governing body for Canadian university sports. Their national soccer championship in Nov 2017 awarded Gold to the Cape Breton University Men’s team and Gold to the Université de Montréal Women’s team. Of the 6 medals awarded in the finals (Gold, Silver, Bronze for both Men and Women), 4 of the medals went to teams from relatively small schools. Two universities garnered two medals each. All of the medal winners (with the exception of one team) had strong records in their respective divisions going back 8 years. Where would you find that information, and which other schools competed and received medals? According to U Sport, there are 56 universities in Canada with about 12,000 student-athletes competing in various sports. U Sport has its own site for publishing statistics, but there are numerous other ones too, often reflecting the geographic divisions across the country. And then the universities have their own sites to promote their teams, their results and to build esprit de corps on campus. You can see the soccer medal summary for both men or women. You can see the size of their respective schools. You can see the historical goal differential by selecting each team. Note: Use the bi-directional arrow in the bottom right of the dashboard to make it full screen. This link will demonstrate how Canadian Scholarship/AFA data can be represented. Fuzeium’s dashboard platform and expertise are largely based on Microsoft’s Power BI and Microsoft Azure Cloud. The capabilities are applicable to any industry. Please contact us if you like more information.